At R.O. Steel Roofing Pty Ltd, safety is our priority. All procedures comply with WorkCover Regulations, Work, Health & Safety Legislation and Industry Codes and Practices. In addition, site specific safety management plans and safe work methods are formulated and implemented for each individual project. 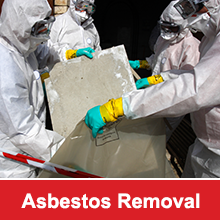 We take the initiative to ensure the safety of our team and the public during installation, repair and removal of asbestos, metal roofing and wall cladding. It is ensured that all roof work is carried out safely so that personnel performing the work do not endanger themselves or others. Necessary provisions are undertaken to ensure that the workplace and access to the workplace is safe. Roofs on which personnel are required to work comply with the requirements as specified in Australian Standards. Prior to commencing work, a site evaluation is completed. Fragile roofs are sign-posted and special precautions are used, such as crawl-boards. Only trained employees are authorised to carry out the work and appropriate fall protection and personnel protective equipment is used at all times. Wherever practicable, fall arrest systems are provided for all personnel. This includes safety meshes, individual fall arrest systems, scaffolding or elevated work platforms, safety nets and guard rails. Where mobile work platforms are used, it ensures that the operator is licensed in the operation of the equipment under the plant regulations. It is ensured by R.O. 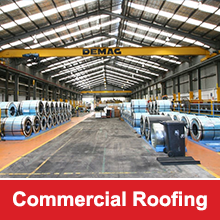 Steel Roofing Pty Ltd that only equipment and systems approved by Australian Standards are utilised. For more information regarding R.O. Steel Roofing Pty Ltd and our compliance to WorkCover Regulations, Occupational Health and Safety Legislation and Industry Codes and Practices, contact us today.